When it comes to quality hiking boots, support is the name of the game. And it's hard to find men's boots that live up to that name as fully as these Danner Men's 45260 Olive 5.5-Inch Radical 452 Waterproof Boots. First, take a look at the 850 last on each of t ... (see full details) (see specifications) #DNN45260. When it comes to quality hiking boots, support is the name of the game. And it's hard to find men's boots that live up to that name as fully as these Danner Men's 45260 Olive 5.5-Inch Radical 452 Waterproof Boots. First, take a look at the 850 last on each of these premium shoes. With a supportive, athletic fit with spacious toes, the 850 lasts promise to keep your feet secure and comfortable for miles and miles. Terra Force technology adds to this Radical footwears' support without making them heavy. Terra Force keeps the platforms of these men's shoes rigid, while still maintaining a comfortable feel. 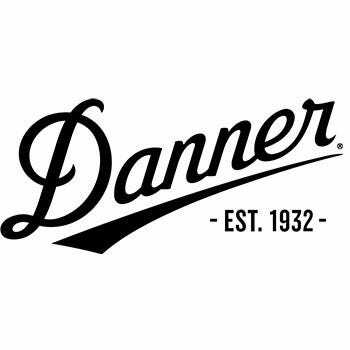 In addition Danner Boulder TF outsoles also help keep your feet sure on the trail, with multi-directional center lugs, as well as traditional outer lugs. These will keep you safe whether going uphill, downhill, or traversing sidehill. While the fit and support of this 46-ounce footwear will keep your feet safer from ankle turns and blisters, the Gore-Tex liner will keep them dry. The 100% waterproof liner is breathable, too. Protection doesn't end there, though. The full-grain Nubuck leather uppers are abrasion-resistant and scuff-resistant. Coupled with the scuff-resistant toe caps, your exceptional boots will stay looking sharp even after hours on the trail. You came looking for supportive, protective men's footwear. You've found it. Take on your next adventure with Danner Men's 45260 Hiking 5.5-Inch Radical 452 Waterproof Olive Boots. Order yours now from Working Person's Store! Great Boots. They fit right out of the box. They are waterproof, they are warm, and they are light weight. I think the price could be better but you get what you pat for these days. I am not crazy about the color but they were less money so I went with them. Danner Boots: Men's 45260 Waterproof Radical Hiking Work Boots is being added to your cart.